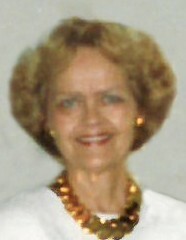 Mary Anna Ruliffson of Fargo, ND died 2-9-19 at the age of 84 at Sanford Palliative Care. Mary was born June 24,1934 to DeForest and Edna (Stenberg) Malstrom. As a young girl she grew up on a farm south of Mapleton, ND. Both of her parents were of Swedish descent. Mary attended elementary school in Mapleton and graduated from Fargo Central high school in 1952. She graduated from Phoenix College: Phoenix, AZ in 1954. She attended Arizona State University. She married Paul Ruliffson on March 15th, 1957. They farmed in the Harwood/Prosper area for 38 years. They enjoyed summers at the lake and moved to the Fargo area in 1995. Music played a large part in her life. She studied voice under Mrs. Joseph Keise at the Concordia Conservatory of Music. She enjoyed college concert choir, sextet, trio and solo work and also played organ and piano. Mary had been a member of the American Federation of Women’s clubs, Prosper Home Advancement, Mapleton Presbyterian church choir, the United Presbyterian Women in Casselton and Mapleton bridge clubs. Mary did modeling for West Acres, DeLendrecies, and Bonanzaville over the course of 15 years. She was secretary of the 22nd district G.O.P Women. She was on the Farm Bureau Board. She was Worthy Matron of Chapter #16 Order of Eastern Star (50 year member) and most recently a member of the Mecca chapter in Fargo. 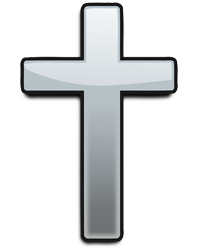 She was a member of the Fargo Shrine Auxiliary and a member of the First Congregational Church of Fargo. Due to poor health in her later years she was able to have little company but always dear to her heart were the wonderful memories of the times that she spent with her grandchildren. She is survived by 3 children, Ellen (Steve) Zaeske, Fargo, Russell (Melinda) Ruliffson, Harwood, Roger (special friend-Suzanne) Ruliffson, Fargo/Detroit Lakes, MN; brother: DeForest (Chris) Malstrom , Detroit Lakes, MN; grandchildren, Drew and Jenna Zaeske, Reilee and Rachel Ruliffson. Preceded in death by husband, Paul Ruliffson; 3 infant brothers; sisters, Vivian Nesemeier, Marjorie Cockerill, Doris Berstler, Charlotte Salzewedel, Donna Preston; and her parents, DeForest and Edna Malstrom. A private memorial service and burial are planned.